File photo of Yuzuru Hanyu. Yuzuru Hanyu, the only man in more than 50 years to win back-to-back Olympic gold in figure skating, said on Tuesday that his condition is "100 percent" ahead of the world championships after months out of competition with an ankle injury. Hanyu injured his right ankle in practice for a Grand Prix event late last year and was forced to drop out of the Grand Prix Finals as well as the Japanese nationals. It has been roughly four months since his last competition — a situation similar to last year's Pyeongchang Winter Olympics, where he triumphed after a long gap due to a different injury to the same ankle. It will also be his first face-off in roughly a year with US skater Nathan Chen, who is the defending world champion and has had a strong season despite being a full-time student at Yale University. 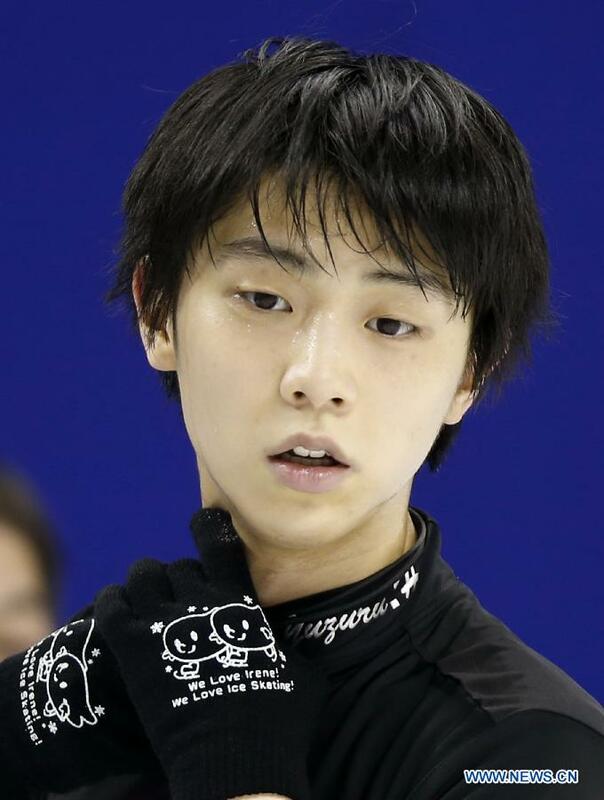 A day before the competition starts in Saitama, a black-clad Hanyu landed several clean quad jumps at practice. "But I was able to recover for the Olympics, which gives me confidence — and I think the final step before happiness is suffering." Hanyu, who has won two world championships himself, said he relished the competition — which is taking place at the same arena just north of Tokyo where he won his first world title in 2014. Competition starts on Wednesday with short programs for pairs and ladies. The men's short program will take place on Thursday with the free skate scheduled on Saturday.